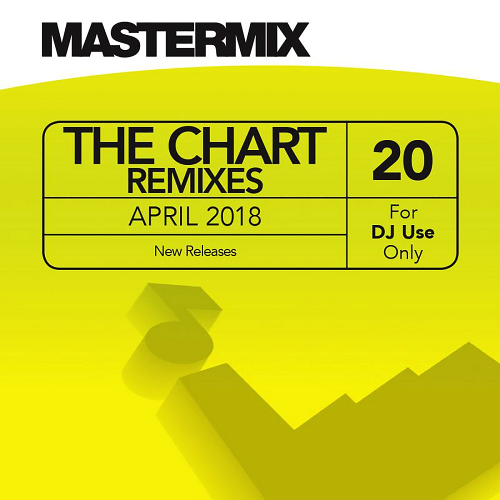 Date: 20.04.2018 | Dance, Disco, RnB, Pop, HipHop | Tags: Mastermix, The Chart Remixes, Music Factory, Chvrches, John Newman, Lotto Boyz, Marshmello, Rae Morris, Valentino Khan | Download Mastermix The Chart Remixes Vol. 20 (2018) for free. Looking for the latest chart remixes? Look no further! This monthly digital product features a selection of new releases from the worlds biggest artists. No fillers...just the hits! The latest release features tracks from James Bay, Chvrches, Valentino Khan, M.O, Lotto Boyzz, & Mr Eazi and more. Un-mixed. This album is exclusively available as high quality download. We provide a wide range of music solutions in physical and digital formats. Our music features original artist recordings and is available as mixed and un-mixed products. We use only expletive-free versions and clearly state if any track used on our service features lyrics that may offend.The Chart Remixes collection with lots of interesting tracks!